Enjoyed working with Wolfe Rizor Interiors on a professional level. A great company, very professional and classy. We manufactured a range hood for them and every employee we encountered was awesome. 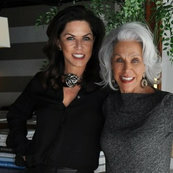 For years, I have had the honor to work with Wolfe/Rizor Interiors in Winter Park, Fl. Thanks Doug for the kind words. We have enjoyed working with you over the years as well! My name is Randy Brester. I am a professional window treatment installer and have been working with Wolfe-Rizor Interiors since 1998 to this current date.